It won’t exactly make Rick Barnes thrilled, but the No. 1 Tennessee Volunteers cruised to an easy 73-61 victory over Florida on Saturday afternoon. 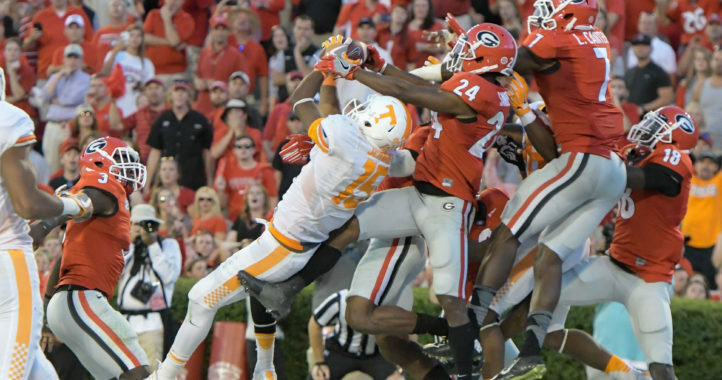 The Vols outscored the Gators by six points in each half to finish the season sweep of their SEC rivals. Grant Williams led the way for Tennessee, scoring 16 points, grabbing six rebounds and dishing out three assists in the victory. 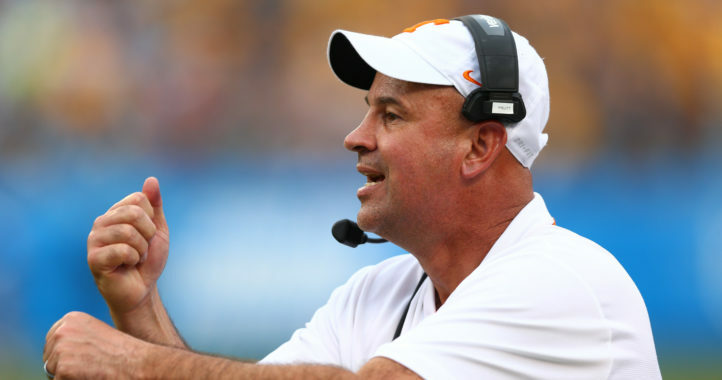 After the game, White had a lot to say about the Vols, calling them the No. 1 team in the country. Florida coach Mike White on Tennessee: That’s the best team in the country. They’re so good on both ends of the floor, and they’re all so strong. Florida coach Mike White on comparisons between Tennessee and Kentucky: "Kentucky is the most improved defensive team in the country…they made a huge jump during the season." Says #Vols have the same ability. Mike White: Tennessee is terrific. And this isn't probably as good as they can play. We needed to play our best to have a chance. We didn't do that. I fully support his continued tenure at Jort U. Should he leave, he can sell brooms at Lowe’s, given his ability to help the opposing team sweep. Just For Men Dave Hart actually considered hiring this guy (1-6 v Barnes). Not sure he’s worth whatever meager salary and malaria meds the swamp stooges pay him, but keep it up! Enjoy the 1 sport UT has over UF…. Haha-back on the greyhound. Up and away with you. A bit early to fire him, don’t you think? He could be useful for a gimmick to bring in the fans like they do at minor league sports events. Since he resembles Marty McFly, maybe they can have “Back to the Future” night to draw in fans? Florida basketball is definitely bush league status so I think that business model could work here. You guys can travel back to the year 2008, when the team was last relevant (still got beat by the Vols regularly then, though).